...For the Capitol city of a superpower nation, Washington DC is sadly insular, non-cosmopolitan, and aesthetically conservative. The suits are gray or navy, the ties are red or blue, and not since the pith-helmeted and moustachioed Teddy Roosevelt has a president looked like anything other than a businessman. The summer heat can be stifling, adding to the soporific atmosphere of the city. 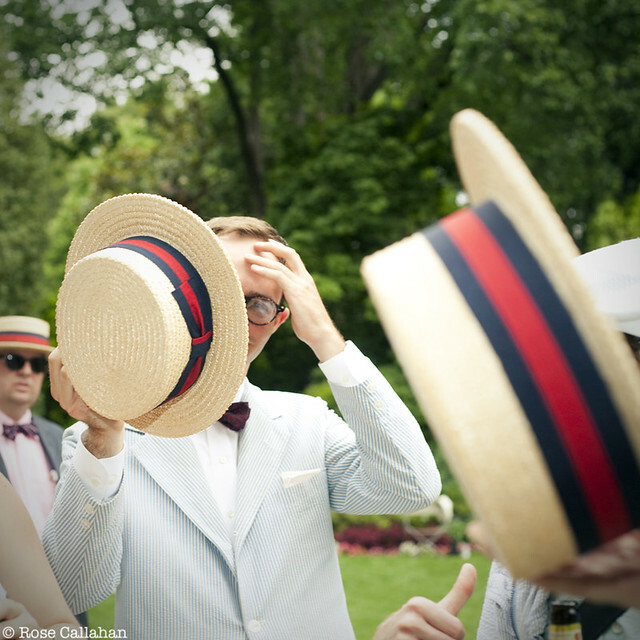 ...Seersucker is by no means a new addition to the pantheon of summer fabrics. The word arrived in the English Language from the Hindi sirsakar, which in turn got it from the Persian shiroshakar, by way of Tamerlane's 14th-century invasion. The original means “milk and sugar,” a reference to the alternating textures of the puckered stripes of cotton. The fabric is most commonly found in white with another color in eighth-inch vertical Bengal stripes. 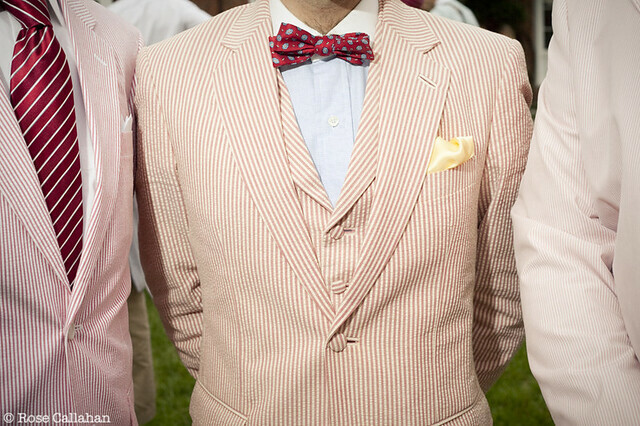 It is less frequently found in gingham checks, and I once nearly fainted in admiring awe at a white-on-white striped seersucker dinner jacket with a built-up linen shawl collar and turn-back cuffs. Because the fabric is so light and crisp (holding a crease much better than plain linen,) it's perfect for summer suits, usually half-lined......At the very start of the twentieth century, seersucker began its journey to become one of this country's best-loved fabrics. Although the British wore seersucker in the empire's equatorial colonies, its popularity boomed in the heat of the American South. It soon became a staple of the Southern Gentleman's wardrobe, and the traditional uniform for going to the Kentucky Derby, getting tanked on Mint Juleps, and losing your son's college fund on a long-shot. The fabric later gained in popularity when those sly young Ivy-Leaguers appropriated the garments as separate pieces rather than full suits.